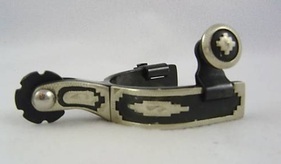 Kelly Silver Star Stainless steel spurs with 8 point rowel. 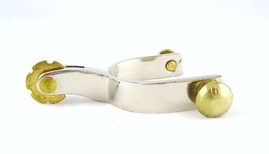 Brass accents. 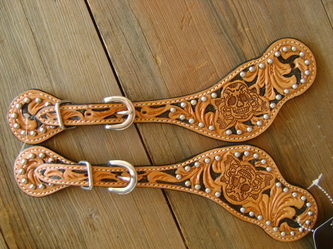 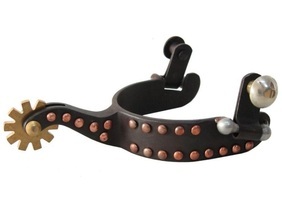 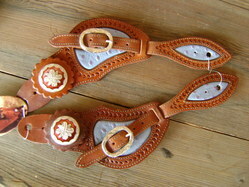 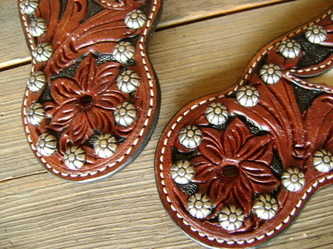 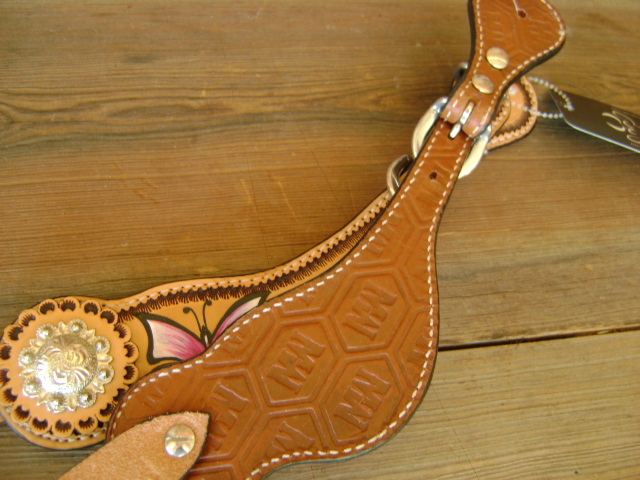 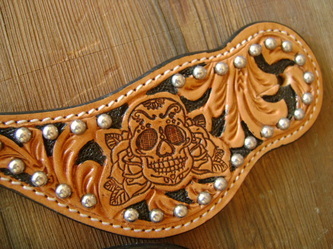 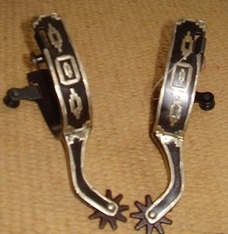 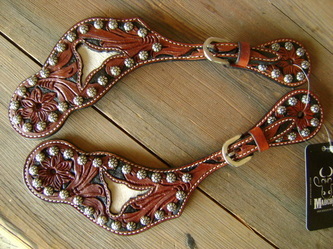 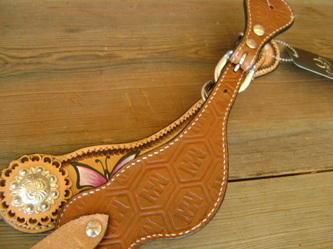 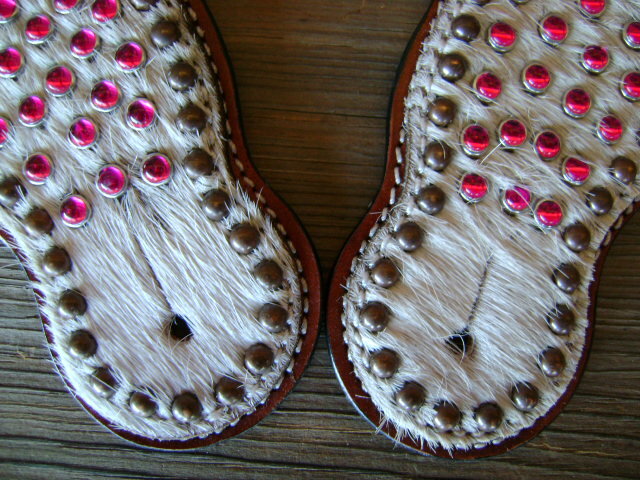 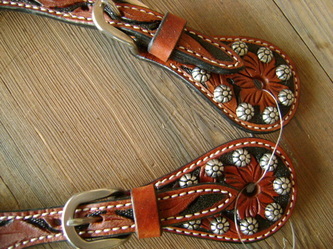 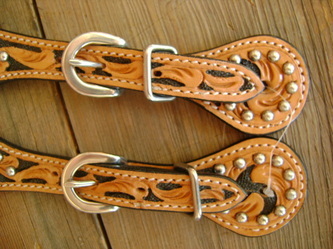 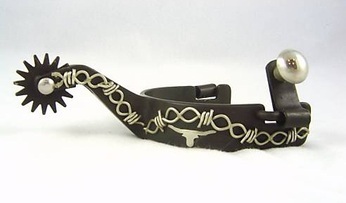 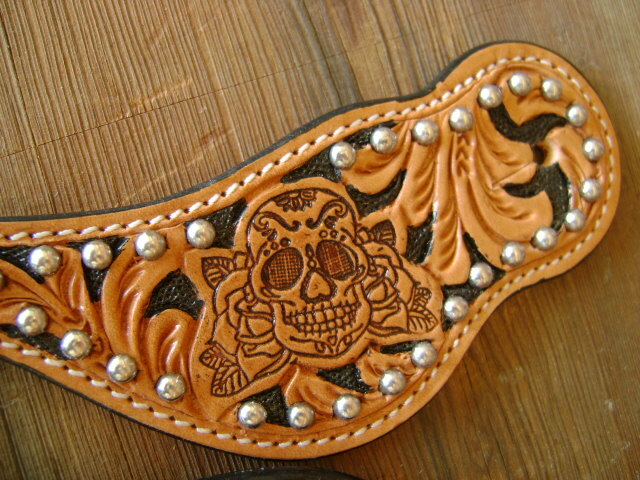 These spurs have swivel spur strap mounts. 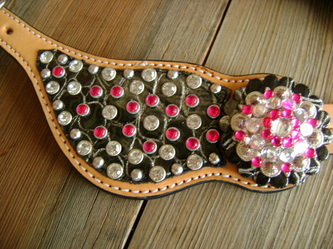 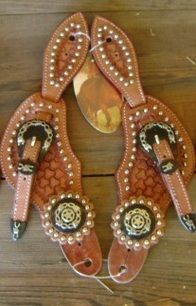 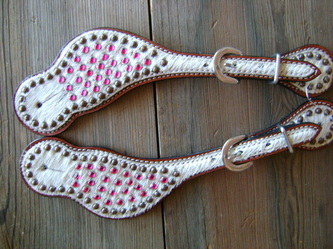 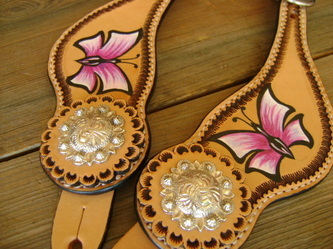 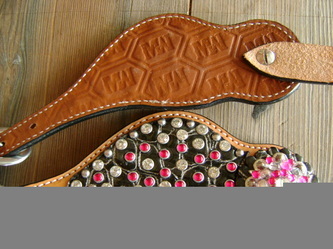 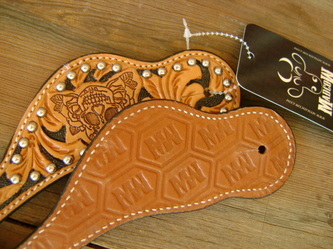 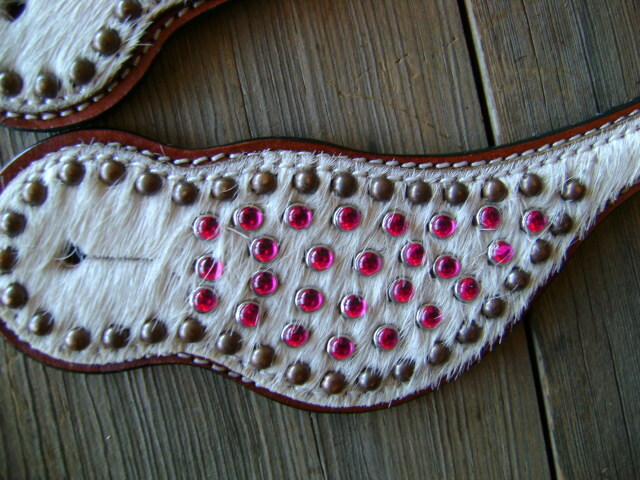 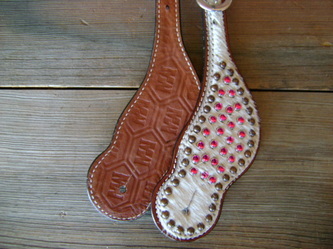 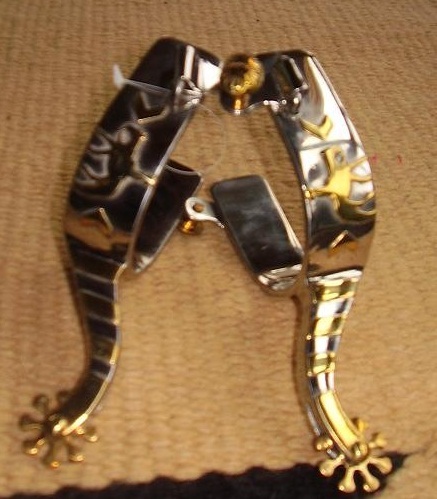 Great Pair of Cowboy Spurs!! 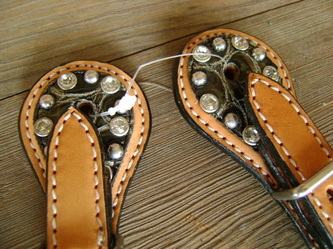 Toddler Spur. 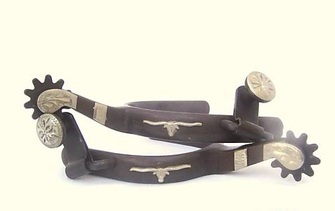 My First Spurs!!! Rowel 3/4", Band 1/2", Shank 1", Baby/Toddler size 1 3/4" heel width spread. 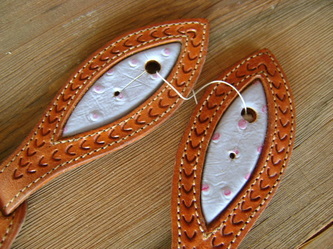 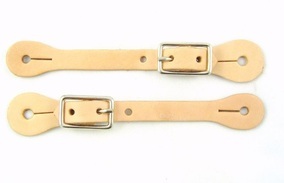 You won't believe how cute these are!!!!!!!! 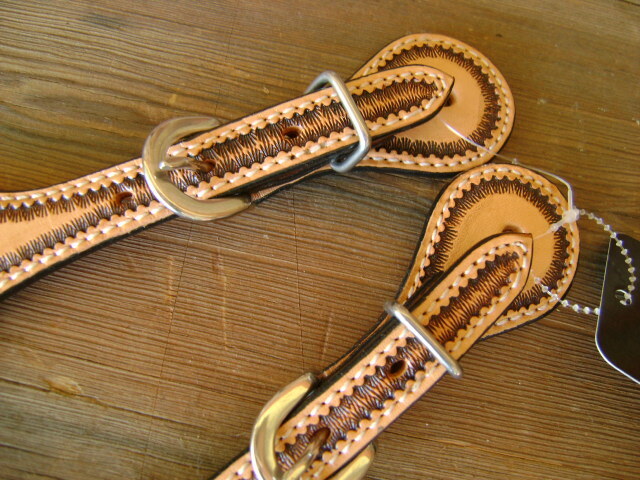 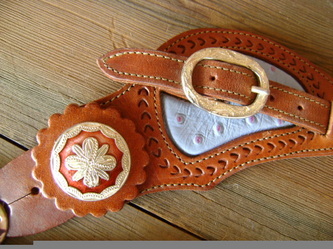 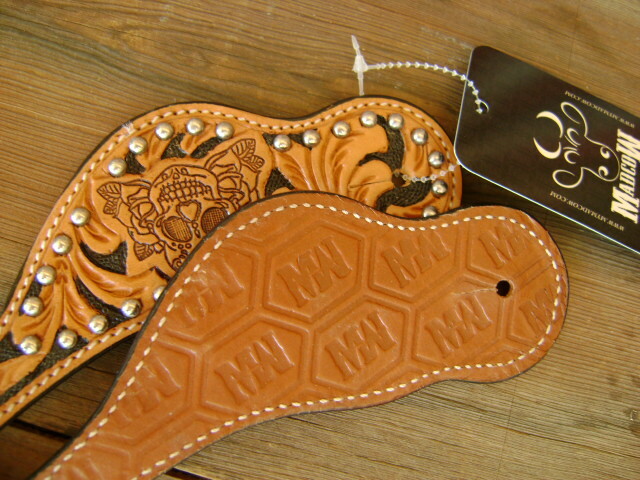 Rowel 1", Band 3/4", Shank 1/4", Youth Size, Heel Width Spread 2 1/2"
If you want a very unique high end pair of truly hand made straps then this is it! 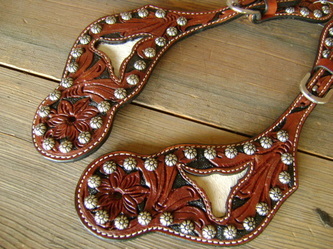 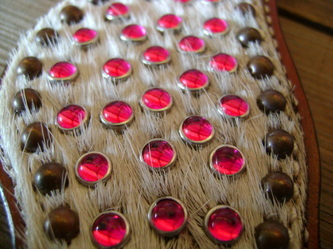 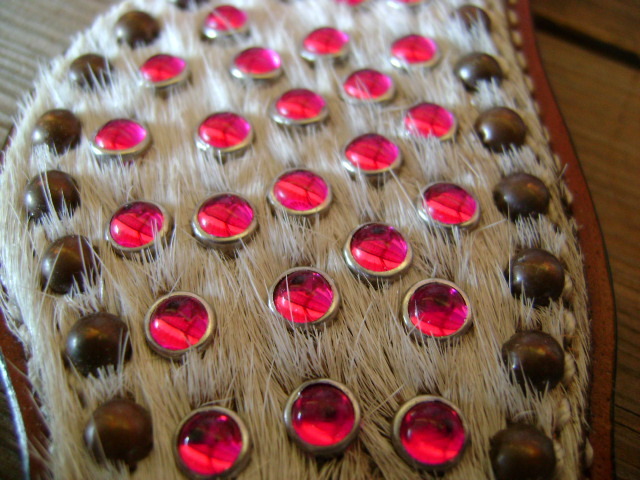 Chrome Buckles This is a gorgeous pair of spur straps. 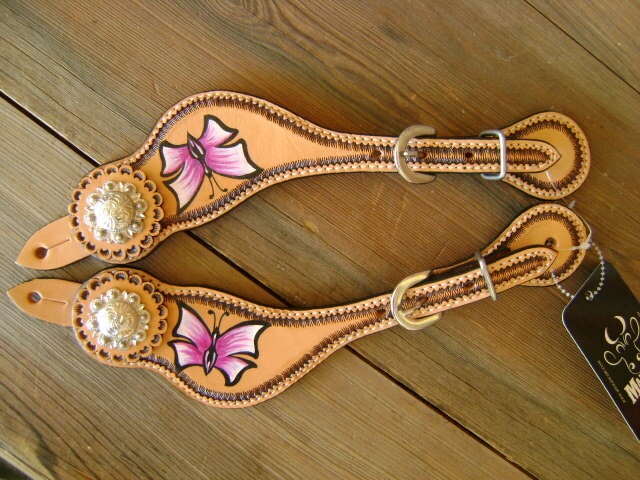 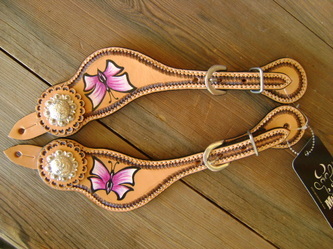 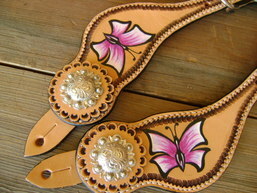 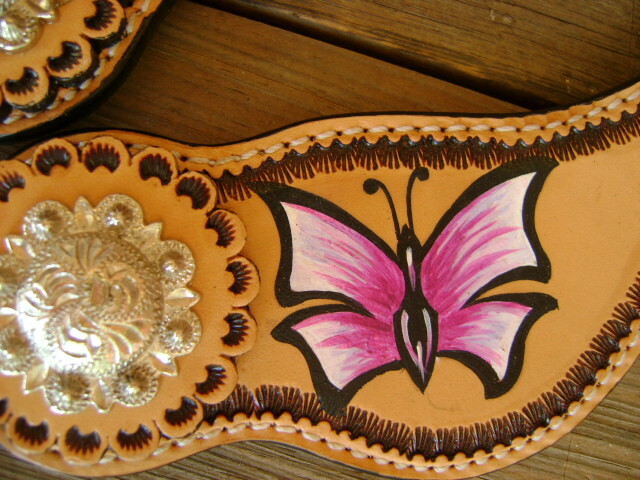 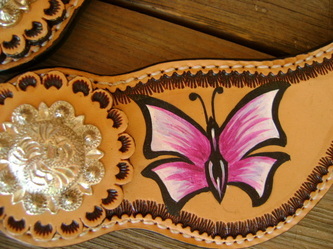 This gorgeous pair of spurs. 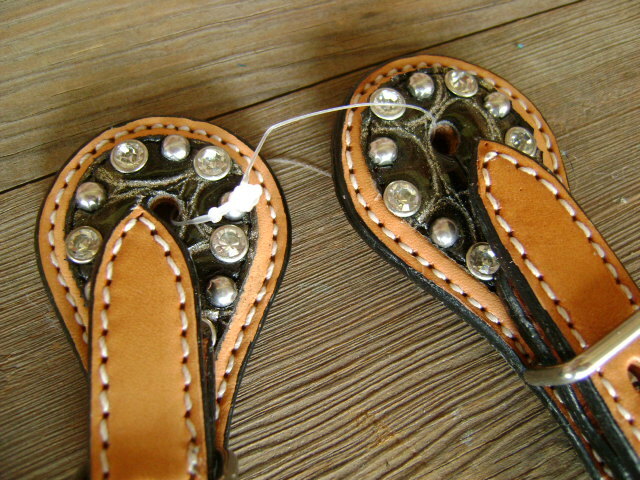 GLASS BEADS " NOT PLASTIC"